My non horological professional life has been taking all of my Roamer time this year. However, the end is somewhat in sight, so here’s the plan. I intend to post separate series on the Mustang, Stringray and Rockshell ranges. I also have a much more detailed and accurate rewrite of the history section – which has been sitting 95% complete on my computer for more than 6 months. It’ll happen, maybe not soon – but it will happen. This article is a draft. I will continue to work on it. The first commercially marketed automatic wristwatches attributed to John Harwood (1894-1965), an English watch maker, manufactured in conjuction with A.Schild (AS), Blancpain and Fortis and was exhibited at the 1926 Basel Fair. This started a rush of invention, with all manner of automatic winding mechanisms, including the Rolls in 1930, the Wig-Wag in 1931, the Glycine in 1931, the Autowrist in 1931, Rolex Perpetual in 1931 (the first 306 degree rotor), the Frey Perpetual in 1932, the Mimomatic pumpwind in 1932, the Aster in 1933 and the Pierce in 1933. One can add to this well known list, Roamer in 1933. 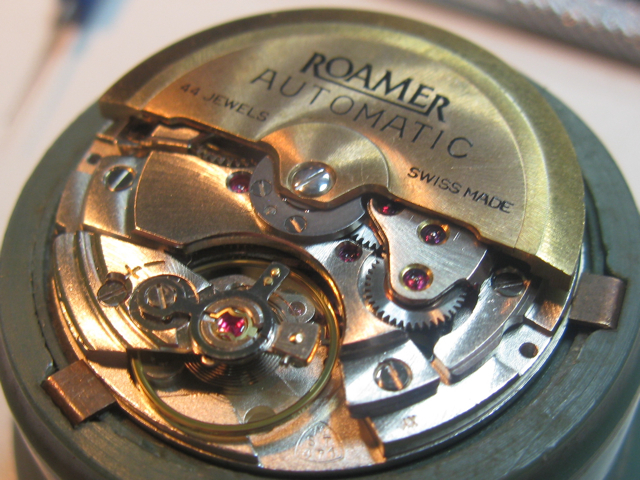 The gears in a modern automatic winding movement operate such that whichever direction the rotor is spinning in, the rotational effort will be translated into winding of the mainspring. While the arrangement of the gears is simple enough, the real problem is twofold, firstly to do so efficiently, so even small wrist movements will wind the watch, and secondly to do it in such a way that is long lasting. Many early full rotor designs were not the efficient winders we take for granted these days. 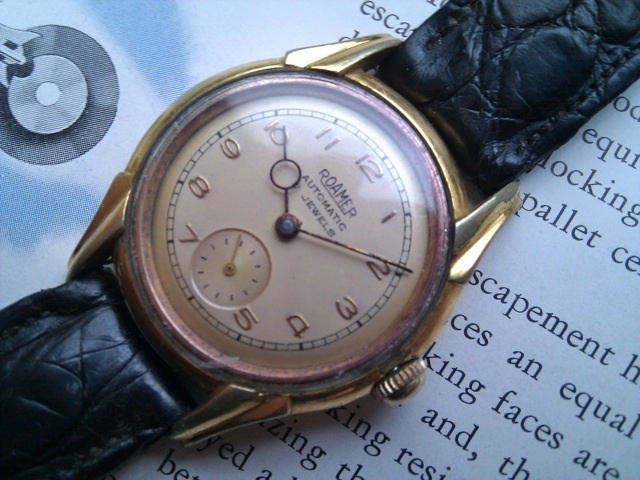 Also, any time you look in an old watchmakers drawers – you’ll see countless older ETA, AS and even the occasional Eterna or similar design, movements, with their pawl wheels missing and their automatic train holes oval. 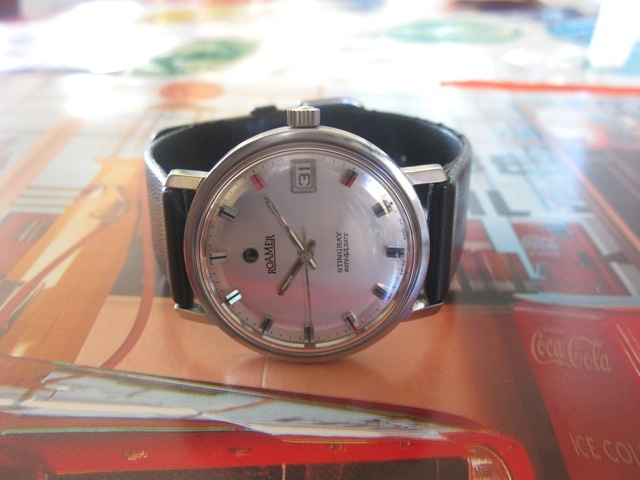 The MST 436/470 (437/471 with date) was a prestige movement family designed and produced by Roamer in from 1964 in a no expense spared effort to move the brand upmarket. It worked too, because the movement was innovative, robust and long lived. It featured in the top of the line Mustangs and Stingrays for almost a decade. With 44 jewels, the best versions of these movements have the most jewels (that I know of) that are really functional. While not all 44 jewels are absolutely critical for good timekeeping, and some English old timers back in the 1800s would have argued that 7 jewels in a lever escapement are all that are needed, the added jewels do add to the longevity of the precision of a movement – that is, the length of time it will continue to work within design parameters. Lets look at where all these jewels live in the movement.